If you have any questions or concerns, please feel free to contact Michelle Nguyen by email at MichelleTNguyen@mednet.ucla.edu or by phone at 310-825-8253. 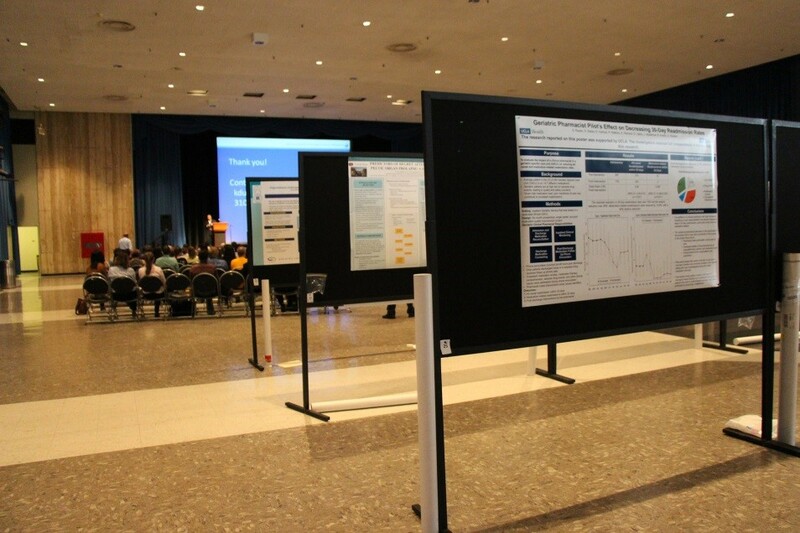 Research faculty, fellows, students, and community research partners are invited to submit abstracts for inclusion in the poster session. The abstract submission deadline is May 1, 2019. Behavioral and Social Sciences (BSS): Full range of behavioral and social science issues in gerontology. Health Sciences (HS): Multidisciplinary or interdisciplinary clinical, health services, epidemiologic, and translational research. Social Research, Policy and Practice (SRPP): Promotion of the social well-being of older people through the scientific study of the social, political, and economic contexts of aging. Posters that have been presented at other meetings are welcome! Each poster board is 4 ft high by 6 ft wide. Your poster can be of any size as long as it fits on the poster board and the lettering is legible from a distance of 2 feet. The text of the abstract must be 250 words or less. Text only. No graphics or tables. Questions? Contact Michelle Nguyen by email at MichelleTNguyen@mednet.ucla.edu or phone at 310-825-8253. The abstract submission deadline is May 1, 2019.